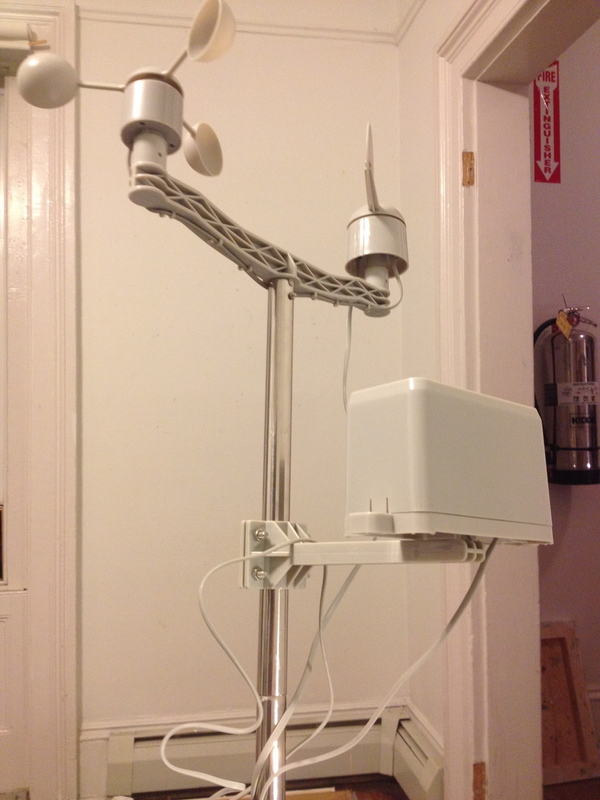 The top image is the rest of my sensors to calculate wind speed, wind direction and rain collection. I will be using these in addition to the board of sensors I already have been using to create future projects for the final exhibition. The second image is of paper models I have constructed that will be the forms of three weather stations I am currently in the process of building. Each station will be in separate locations that will survey the different environments that are nearby and constructed out of materials of each location. The center shape, an icosahedron, a platonic solid often associated with water, will be located by the Snug Harbor dock and constructed of driftwood lashed together. 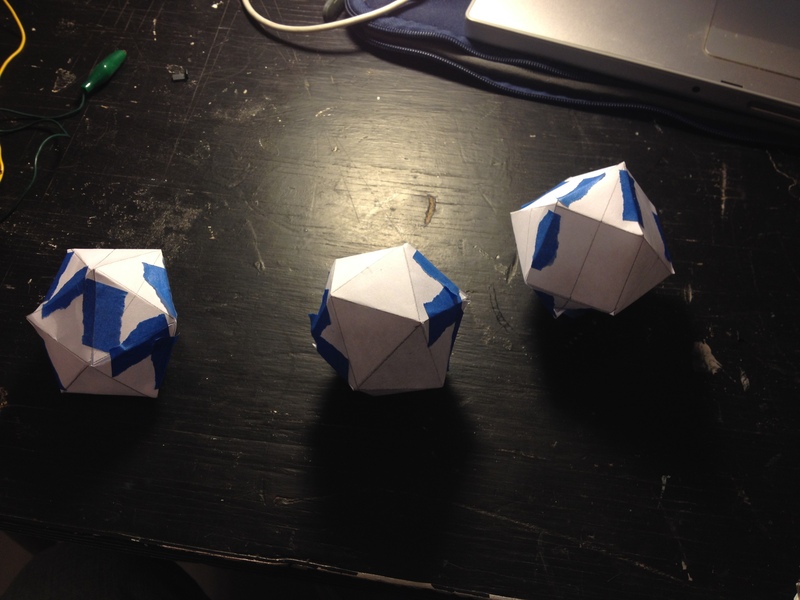 The cuboctahedron on the right will be located in the woods and built of fallen trees in the area. The sphenocorona will be located at the cottage I am living in built of scrap architectural materials. As I take weather readings in each location, I will also be conducting audio and video field recordings simultaneously. The collected information will be used to create audio and video compositions that examine how each location blends with each other and where human actions fit amongst the nature. In the coming days I will be exploring architectural acoustics in regards to weather conditions, hacking cassette players and working on unique signal processing for an upcoming multimedia performance. So stay tuned.